Robert Pattinson in "High Life," which recently screened at the Toronto International Film Festival. Just across the shores of Lake Ontario, our neighbors to the north host one of the largest and most prestigious film festivals in the world: the Toronto International Film Festival. TIFF came to a close this past weekend, a sure sign that we're fully into fall prestige movie season. This year's lineup had plenty of cinematic goodies to offer, a number of which will be rolling out to theaters before the year comes to a close. Special shout-outs to "If Beale Street Could Talk," "A Star Is Born," and "Widows," which were among my favorites, but I'm waiting to discuss them until they make their way to local theaters. What follows is a look at just a few of the films I was able to sample during my brief time up north. A 14-year-old boy (Ed Oxenbould) in 1960s Montana observes the breakdown of his parents' (played by Carrie Mulligan and Jake Gyllenhaal) marriage, in the moving domestic drama "Wildlife." Making his directorial debut, actor Paul Dano demonstrates a keen sensitivity as a storyteller and (perhaps unsurprisingly) a remarkable way with his actors. Mulligan in particular delivers one of her finest performances. "Long Day's Journey Into Night" follows the return of Luo Hongwu (Huang Jue) to his hometown of Kaili City in China for his father's funeral. By night, he searches the city's streets for his long-lost love, and writer-director Gan Bi's makes his journey a dreamy, neon-tinged marvel. But it reaches another level entirely in its second half, which consists of a bravura hour-long 3D sequence, shot in one continuous take. In "Capharnaum," a 12-year-old boy growing up in the slums of Beirut sues his parents for allowing him to be born. 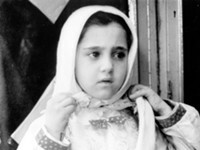 As director Nadine Labaki rewinds to show us the brutal and chaotic life of young Zain (Zain Alrafeea), the film constantly seems on the brink of exploitation. But it stays mostly on the right side of that line thanks in large part to Alrafeea's unforgettable, deeply empathetic performance. From the weird, twisted mind of "The Duke of Burgundy" director Peter Strickland, the gonzo "In Fabric" follows the misfortunes that befall customers of a demonic department store when one of its haunted dresses comes into their possession. Marianne Jean-Baptiste is great as the first victim, though the film loses some steam when it switches to a second story. But it's still an odd, singular vision that feels like something you might stumble across while flipping channels late at night and the next morning aren't entirely sure you didn't hallucinate into existence. Receiving a local release this past weekend, "Where Hands Touch" tells the story of a biracial girl (an excellent Amandla Stenberg) struggling for survival in World War II-era Germany, who ends up falling in love with the white son of a Nazi officer. I admire director Amma Asante ("Belle") for focusing on the little-known plight of black Germans during the Holocaust; I just wished the story she'd come up with didn't follow the familiar beats of a World War II drama quite so closely. Brady Corbett's "Vox Lux" stars Natalie Portman as a pop music diva who ascends to stardom while overcoming a dark tragedy in her past. The story interrogates the intersection of pop culture and terrorism, tossing a lot of ideas at the audience — from the commodification of pain to the roots of artistic expression — that don't quite come together, but it's a fascinating, often disturbing ride while it lasts. My favorite film of the festival was Alfonso Cuarón's "Roma," the director's semi-autobiographical tale chronicling a year in the life of a middle-class family in Mexico City during the 1970s. A sense of warmth can be difficult to achieve in black and white, but Cuarón succeeds, crafting a loving tribute to the strong women who raised him. Designated as Mexico's official Oscar submission, Netflix has a theatrical release planned, and I sincerely hope that it extends beyond New York and LA because the film's gorgeous widescreen photography just won't be the same when viewed at home. 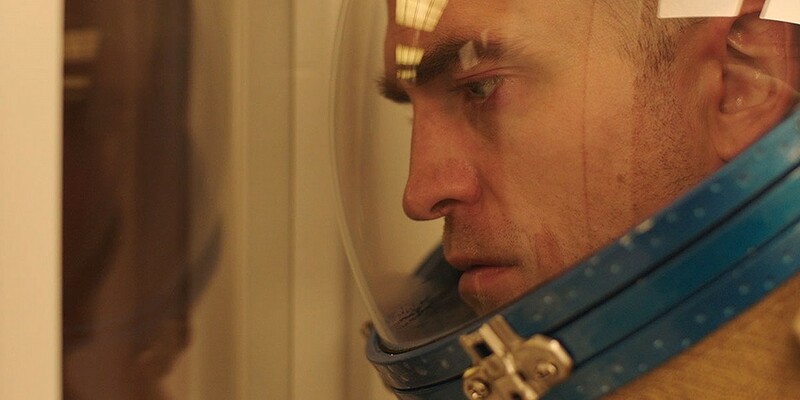 The first English-language film from French filmmaker Claire Denis, "High Life" is also the esteemed director's first stab at science fiction, following a colony of prisoners (including Robert Pattinson, Mia Goth, and André 3000) aboard a spacecraft hurtling into the farthest reaches of space, on a mission to harness the power of black holes as a potential energy source. Juliette Binoche is also aboard, playing a mad scientist using the prisoners for her own experiments in the arena of procreation. Not surprising for Denis, the filmmaker defies genre conventions at every turn, crafting a sad, strange, and occasionally bonkers look at the effects of isolation on the human experience.